Cut back your caffeine intake and pump up your morning routine with these amazing hot drinks! This section is sure to perk you up with a wonderful range of teas and other such healthy hot beverages, which are sure to boost your energy and immunity level! Enjoy these hot beverages and live a healthier, happy life. Nothing can be more comforting than a cup of garma garam chai or other such warm beverage which lifts up your spirit when you feel dull or tired. Substitute your morning tea with this wonderful hot drinks! Honey ginger tea works wonders for the body. Ginger being an anti-inflammatory agent helps in treating asthma, reduces respiratory problems, aids in digestion. Known more for its health benefits, Tulsi Tea uses one of India’s most sacred herbs – the holy basil. Fresh tulsi leaves are added to the brew and strained. It refreshes your mind and improves your immunity! Off lately, Green Tea has been a popular beverage and everyone swears by it. After all, it is loaded with anti-oxidants and has positive effects on everything from weight loss to liver disorders, type 2 diabetes, and Alzheimer's disease. It is available in powdered form, tea-bags or loose leaves. It can be made into different variants Phudina green tea which has a peppy, minty flavor or an Orange green tea which has a tangy, fruity flavor. Grandmothers all over the world have faith in the decoctions they make or 'Kadha' as they say. These home remedies help in battling common cold, sore throat, flu, indigestion. Here are a few natural remedies for your soul. 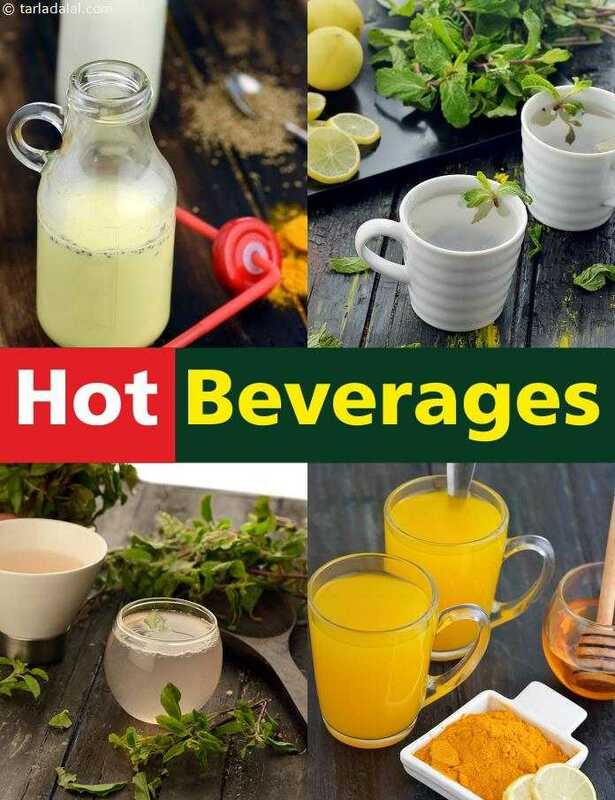 Fresh herbal tea, warm honey lemon water with turmeric, honey ginger tea, warm lemon water with turmeric are made using basic ingredients like holy basil leaves, ginger, turmeric, honey have different properties that protect you from inflammation and help in faster recovery. Binged on a lot of your favorite snack? Do not worry! Have a glass of this pudina pani that will aid in digestion. Another amazing ingredient is 'turmeric'. Turmeric offers many health benefits since it has anti-inflammatory, anti-septic and anti-oxidant properties. It is also rich in iron, vitamins, calcium and magnesium. Sip on this ajwain and turmeric milk and bid adieu to an irritating throat. Suffering from stuffy nose and congestion? Sip on some tomato rasam to sooth your throat. Rasam means "juice" in Tamil and Telegu. It can be made in different flavours using varioous ingredients. You can also make jeera pepper rasam, garlic rasam, buttermilk rasam or dal rasam. A nice twist to the proverbial apple-a-day. Hot Apple Cider is best had on a cold or rainy day. Made by boiling apple juice, cloves and cinnamon and straining the mixture which is then sweetened with honey and topped with some good brandy. Nice way to stay warm. A delicious, simple and perfect recipe to cure the cold.